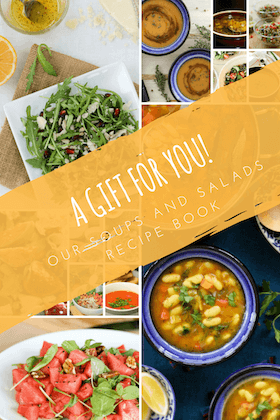 Moussaka – I loved the sound of it. I had not heard of it before. It was part of an article I was reading in a magazine, where the girl was remembering her childhood days and how Moussaka was a staple of her mother’s kitchen. I looked it up and it seemed quite involved so the print out of the recipe hanged in my kitchen notice board for almost a month. Then we went on a road trip in South Africa and one of the things that happened in South Africa was that I came back with a renewed love for cooking. Over the last few months my experiments in cooking have been limited. By the time I came back home in the evening, I was usually so tired to think of anything new. I hope that will change now for good :). So I came back with a promise to learn newer dishes and there it was the moussaka recipe hanging on the board. Moussaka is a classic Greek dish, originally made with eggplant and minced meat. 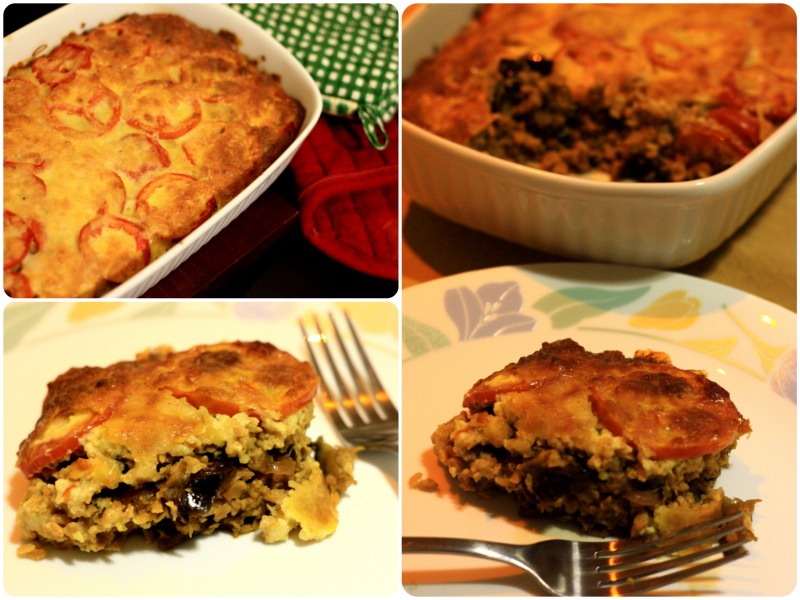 Here is my recipe for vegetarian moussaka, made by layering eggplant and spicy minced soya granules filling. Soak mince soya granules in 1/2 litre boiling water for 30 minutes. In case you don’t have stock seasoning cubes, you can soak the soya in 1/2 litter hot veg stock. Cover the pan and cook on low flame for about 15 minute, stirring from time to time, until the eggplants are soft and cooked. Remove on a plate when cooked. To the pan, now add the soaked soya. By now it would have absorbed most of the water. Stir in red chilli powder, salt, parsley and stock seasoning. Mix well and cook open for another 10-15 minutes, until the water has all dried up. Put half the eggplant, onion mix in the base. Top with half the soya mince; repeat. Add a layer of sliced tomatoes. For the topping, mix yogurt, egg yolks and flour to form a paste. Add grated cheese. Keep aside about 2 tbsp grated cheese. Evenly spread the topping mixture over tomatoes. Sprinkle over the leftover grated cheese. Bake in oven for 30-40 minutes until the topping is golden brown. Can you suggest an alternative for soya granules? The recipe looks nice and I’d love to try it. Also thinking of trying the lauki gatta recipe from your blog. lauki gatta is one of my favourites! In fact I am myself planning to make it sometime this week!